To fully appreciate the following photographs I recommend viewing some images from the 1950/60s as this station has gone through an immense transformation. Opened in 1854 on the GWR's Oxford & Birmingham Branch, Lapworth was once a station of considerable size and facilities. However, it now appears to be a sleepy country station and is unstaffed with only one up and one down line. 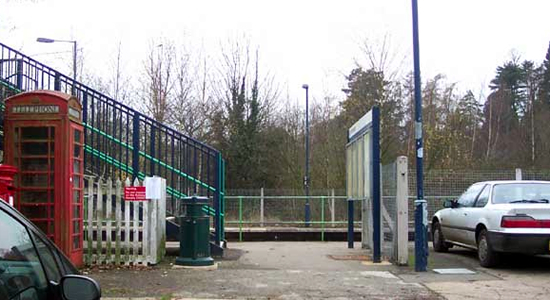 Above we see the entrance to the station from a small car park located on Station Lane. 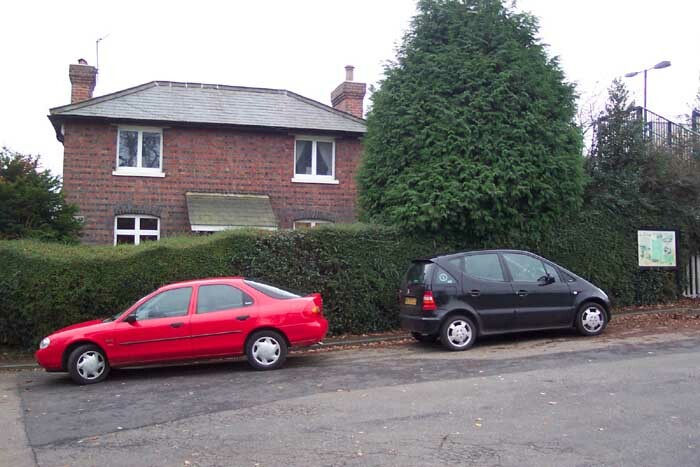 Above-left we see the Station House which still survives but is now in private hands - the entrance seen in the previous photograph is to our right. Above-right we are on the station footbridge looking towards Dorridge and Birmingham. The area beyond the car park which is now empty was once a goods yard with coal sidings and other facilities including a crane. 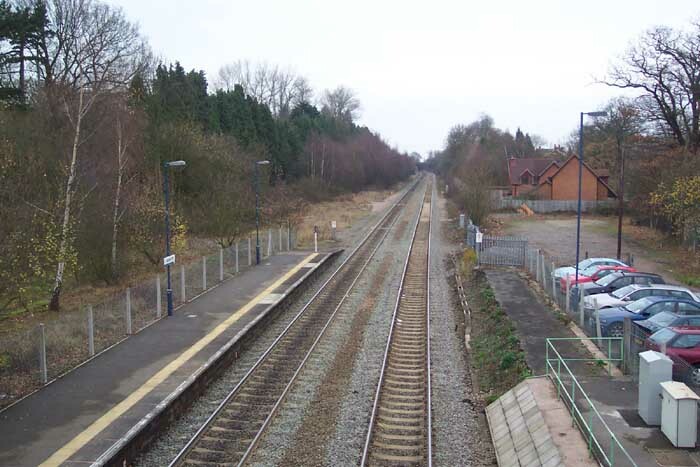 The Leamington platform to our right has beens significantly shortened and at one time from this perspective you would have seen a large single-storey and canopied station building. Above-left we are still on the footbridge but looking towards Hatton - the interesting point here is that the Birmingham platform to our right was in fact an island platform with a double-track passing to the far side. Above-right we are descending the footbridge over what was once the double-track mentioned in the previous paragraph. 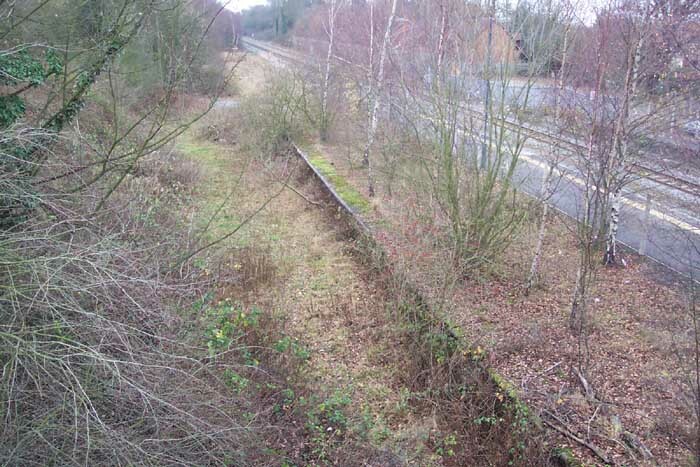 You can clearly see the platform edge to the left of the old trackbed. 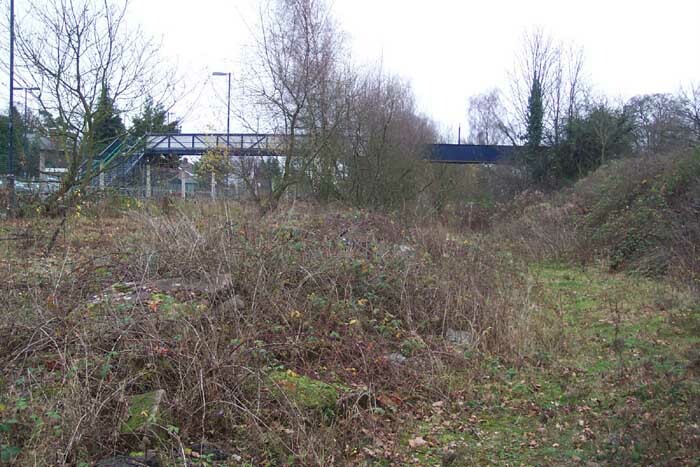 The footbridge now descends here to a public footpath but old railway iron railings can be discerned at its base. Above-left we are in roughly the same spot as the previous shot but looking towards Dorridge and this shot gives a clear indication of the old trackbed. 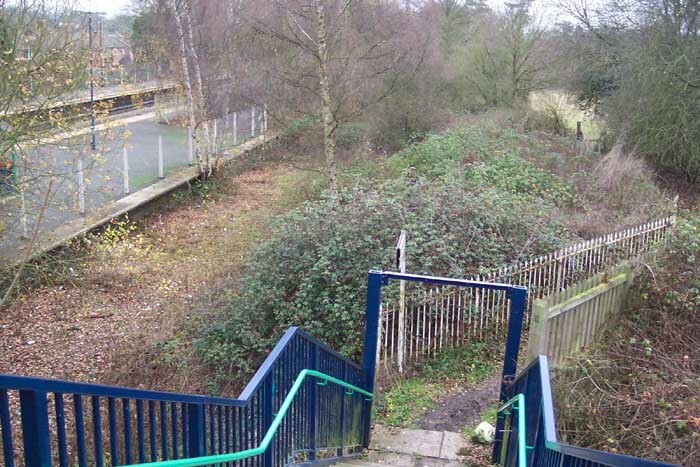 Above-right we are on the old trackbed looking back at the station and footbridge - the station and operational lines being to our left. 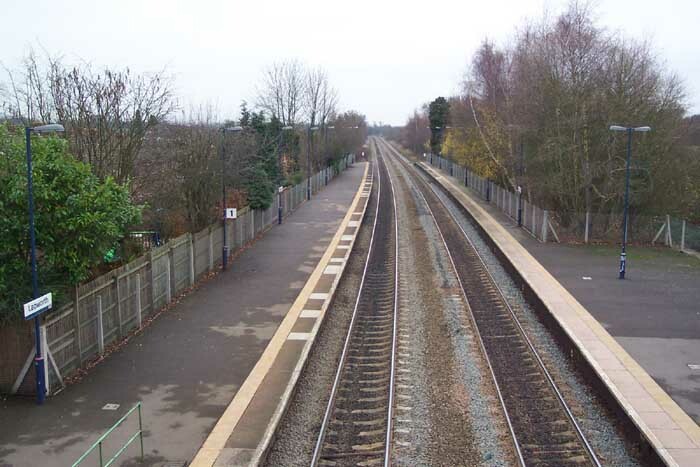 Above-left we are at the end of the Birmingham platform looking at the point where the now defunct lines joined the remaining tracks from the left. 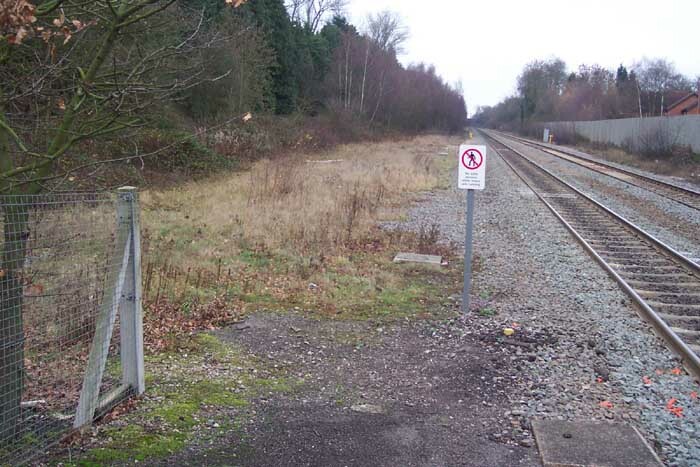 Where the 'Do not cross the line' sign now stands once stood a signal box which controlled the junction and sidings in the goods yard. 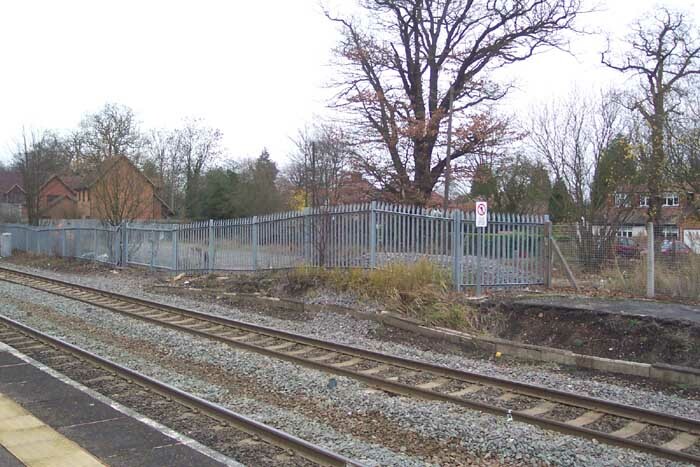 Above-right we are in the same spot but looking at the shortened end of the Leamington platform and beyond it, behind the railings, the site of the old goods yard. This station was of a significant size and to see it reduced to a sparse unstaffed halt is disappointing however, due to its location I do wonder how much passenger use it now receives: I noticed that the very small car park wasn't even half-full which to some extent could explain its downgrading. I would certainly recommend a visit to this site as there is much to see pertaining to its past.